Our reception staff are always happy to do all they can to assist throughout your stay. Looking for information or equipment to hire? Simply come and ask, that's why we're here. 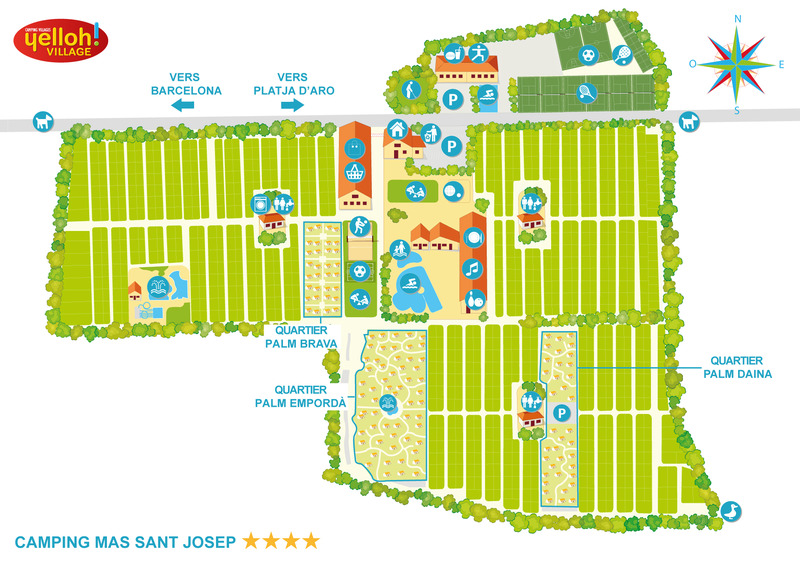 We also organise excursions to the area around the campsite: discover the fabulous city of Barcelona! You'll be spoilt for choice with our snacks and meals. Our restaurant by the swimming pool offers an opportunity to sample real Catalan cuisine and make mealtimes a moment of discovery and conviviality. If you’re just looking for something quick, head for the campsite snack bar and a sandwich or other tasty bite to keep you going! You'd rather cook "at home" in your well-equipped kitchen? Don't hesitate to visit the grocery store for your cookery needs and everyday essentials. On the Costa Brava, Yelloh! Village means a worry-free holiday.